I see the PDF 35 has the GraphTech Ghost system. Pity that there is no mention of a 13 pin output. I keep eyeing my Parker Bronze, and weighing the words "mint" vs. "useful". We're all still here, and all still working very hard behind the scenes. Sorry I've been away- while the factory has been tending to their projects I've been working and updating alot of our other brands service operations including Marshall Amplification for the USA market. 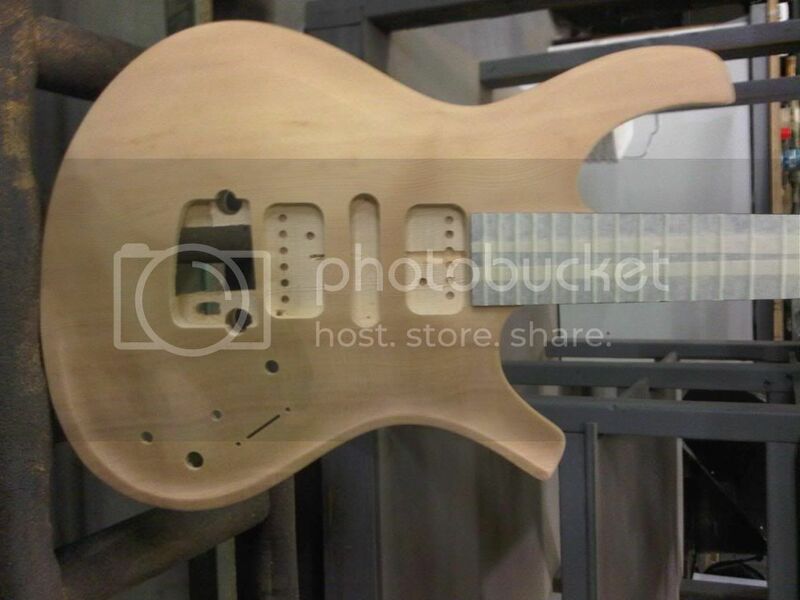 I've also been helping alot with some of our new Washburn products as well. Our customer contact points are working and my team is handling alot of the day to day while I've been moving the bigger pieces and monitoring our activities. We've opted for the Facebook approach for updates because it simply is faster and reaches a very broad audience as social media is becoming a key component in our customer interactions. If you all have a Facebook account, please like us and you can see pictures and updates on a fairly regular basis- we try to get something up there each and every day whether its an actual product, or something just for fun. thanks everybody, we appreciate your support. Ryan, that's really reassuring, thanks! Can't wait to see what Parker has for us in the future! That's good news to hear Ryan! Excellent news, Ryan! Can't wait to see what's next! One request, if you would: I'm still avoiding Facebook like the plague (as are others I know), so more frequent Twitter updates would be welcome. Ryan, thanks for chiming in and letting us know, that we are still "important"
I think this is a good looking guitar. And I see the production cost savings; they glued the Parker carbon fret board on a bolt-on neck. Not sure why they haven't done this before! It makes perfect sense. You get the Parker playability and the traditional ease of building a bolt-on guitar. I totally dig the "compromise" if it continues the Parker line for decades to come. The new model is basically a DF824 with more luxorious wood choices... Right? Nice guitar, bur for me the set Necks are the ultimate selling point... Of course we all want something different! I don't know Obsidian... I love the neck on my Fly Deluxe, but man(! ), having that perfect fretboard on a neck I can replace if something goes wrong (God forbid) is a pretty killer idea. I've been on the fence about my next Parker, and this just made it worse! Full Disclosure: Part of the reason I say that is Fishman's new "Fluence" pickups. Those pups in one of these guitars = tonal nirvana! I checked out the booth at NAMM. The cocobolo neck/red flame top looked so amazing in person, pictures do not do it justice. Have really priced it out of reach. There cases are junk,switches are terrible. And there are some nice things like the point to point wiring ability to change pups easier and cool finishes. Case is first class. It's like comparing a Rolls Royce to a Lexus. And maybe I'll consider a new purchase, till then t's pre-refined for me. I don't care about bells and whistle koa and flames and gold hardware.